Warung Tongseng dan Sate Pak Jumadi is located just 15 minutes walk from my office compound in World Trade Center Sudirman. To be exact, you can input "Karet Gusuran" in your Google Maps and voila you will get into the direction there. It is indeed one of my favourite place to have lunch. 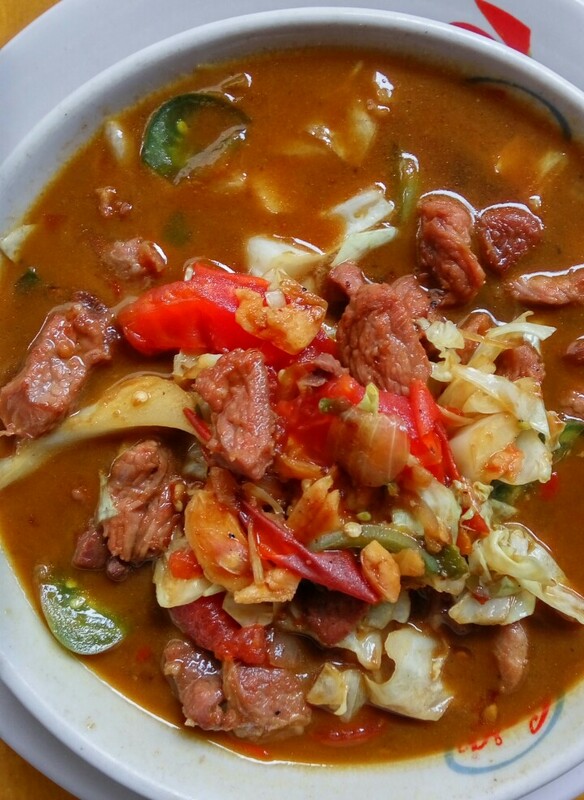 This Indonesian dish called Tongseng is made with mutton, goat, chicken or beef stew and mixed with cabbage and green tomatoes. The thick curry-like soup is a perfect mixture of crushed onion, margarine and sweet soy sauce. 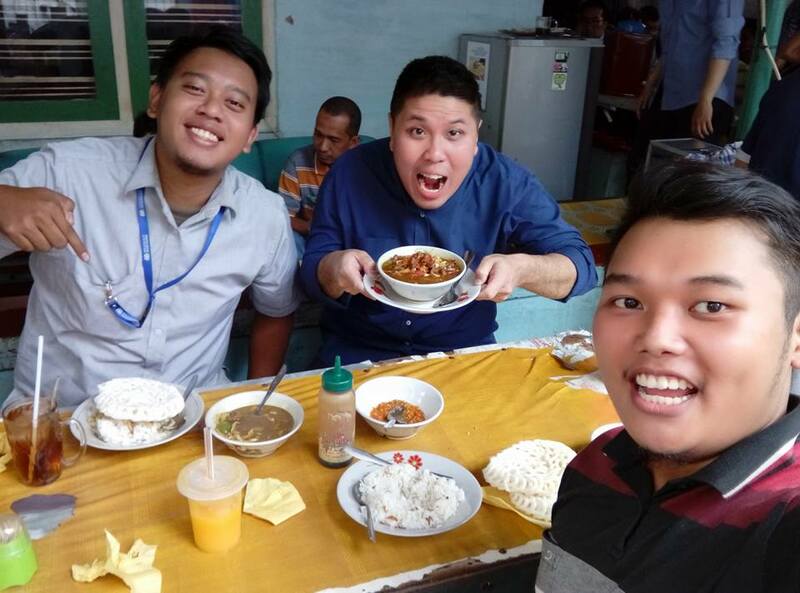 Last week was my second eating experience to this Warung. So surprised that the moment I stepped into the Warung, wife of Pak Jumadi already knew details of my prefered Tongseng. She mentioned it clearly: 1.5 half portion, no MSG, no margarine and no chilly paddy. Not just to me, she treated almost all her customers with a very personalised service.